Second homes are popular for vacationers. The best tips for buying a second home explain the differences that borrowers may encounter with second homes compared to what they encountered when buying a first home. The mortgage products available to buyers of second homes may be different than those available for a primary residence. The borrower may already have a primary residence, but wants to purchase another home to rent out as an investment property. The borrower may want to purchase a second home because of frequent travels for work or as a place for children to stay rent-free while attending college. The borrower may see the purchase of the second home as a good investment for the future but without a goal of immediate use as an investment property. The purpose of the second home can be a huge factor when it comes to getting a mortgage. 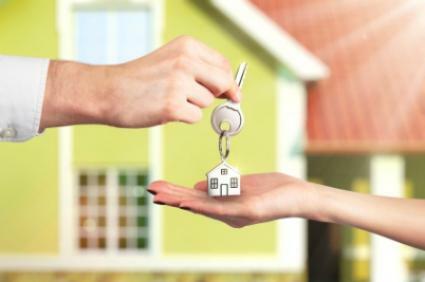 While some lenders do offer mortgage loan products for the purchase of a second home that will only be for the use of the primary owner, many lenders will not offer these types of loans if the borrower intends to rent the home out for any period of time. For example, a borrower purchasing a second home that will be used for a few months out of the year by the primary owner but never rented out may be a better option for a lender instead of having a home where the borrower will reside in the home during the winter but rent it out throughout the summer. How will the lender know whether or not the borrower intends to rent the second home or not? Borrowers are required to sign a document stating that they will not use the second home as a rental property. If borrowers cannot sign this document, the mortgage becomes an investment property mortgage, which has different terms that usually include higher interest rates and higher down payment requirements. Some mortgage lenders only offer these types of second home investment mortgages with balloon terms. Be clear on what your intentions for the second home are when you begin the process of applying for the mortgage. For example, if the second home will only be used as a vacation home, specify this when first speaking to a mortgage consultant because otherwise you might wind up applying for a more expensive investment property mortgage by mistake. Buying a second home can be a profound financial obligation, even if the second home will only be used for vacations. Homeownership comes with extra expenses beyond the mortgage payment, so before making the decision to buy a second home, you should scrutinize your finances to make sure a second home will not be too much of a financial burden. Keep in mind that just because a lender is willing to approve your application it does not necessarily mean that you can afford the mortgage. One of the most important tips for buying a second home is to spend a little time shopping around for the best loan. While not all lenders offer mortgages for second homes, it is still worth it to check with several lenders in an attempt to find the mortgage with the best terms. Consider utilizing the services of a mortgage broker who has experience with mortgages for second homes. Just like with a mortgage for a primary residence, loans for second homes will typically include down payment requirements. The higher the amount of money you can provide as a down payment, the higher your likelihood of getting approved for the mortgage. Speak to your lender to find out the down payment requirements for a second home purchase. Your primary residence may provide enough equity to purchase your second home, allowing you the opportunity to obtain a home equity loan for the second home. Be sure you understand the implications of obtaining a large home equity loan before utilizing this method.